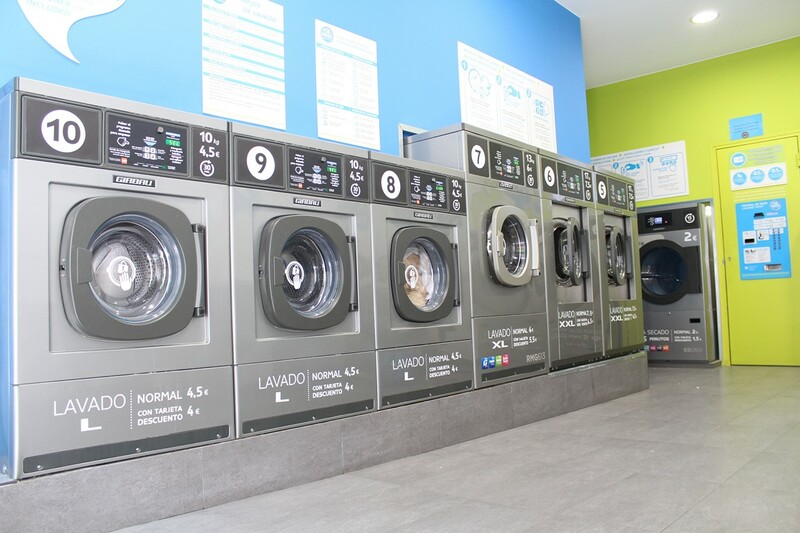 In Spain until a few years ago we were not used to self-service laundries, and their mere mention reminded us of what we had seen in American films, which often reflect these spaces as something a little neglected. But the trends in self-service laundry are very different. Automatic laundries have already become very common in the landscape of many of our cities, showing that it is not dark or neglected places, but quite the opposite. Try as far as possible that laundry facilities are as light as possible, hence they have large windows. As for decoration, bright colors are often chosen to improve the mood of those who come to do their laundry. What is never missing are the instructions on how the laundry service works. So that anyone who goes to one of these establishments for the first time can get acquainted with what they have to do. Although it is an automated service, we want the client to feel as comfortable as possible while washing and drying his clothes. That is why it is common for these establishments to have a rest area in which to wait. In some cases, they also incorporate machines in which customers can buy a snack to make waiting more pleasant. As for the washing machines and dryers, the steel color has been imposed, which gives the place a clean and modern look. To complete the facilities, in those premises that are larger and have more free space, a folding area is also usually installed, so that customers can leave all their laundry ready before going home, so that when they arrive, all they have to do is store their clothes in the cupboards or iron them.